Just in time for next month's Burton U.S. Open Championships, Vail's Superpipe in Golden Peak is now open. The Superpipe, with its 22-foot-high walls, is North America's largest. When the athletes hit the pipe next month, they will soar 15-18 feet out of the pipe. That's flying 40 feet off the ground. Although daunting in size, the larger pipes are actually safer. Although the amount of air is hard to comprehend, the larger pipes allow for more room for the athletes to learn and more room for the athletes to make big mistakes. The "One", Vail's new state-of-the-art ski gondola carried its first riders today, at Vail Ski Mountain's Opening Day 2012. Locals and visitors alike joined at 8:30am this morning for the official ribbon cutting, speeches by renowned Vail faces, and cocoa and cookies. The first cabin took its very first rider up the mountain at 9am and EpicMix photographers were stationed at the top, taking shots of the many happy riders. We are so excited for the upcomming season and can't wait for the holidays to begin! Read more about Vail Colorado Ski Mountain Opening Day 2012 Today! Vail's 50th Anniversary Events Kick off Tomorrow! 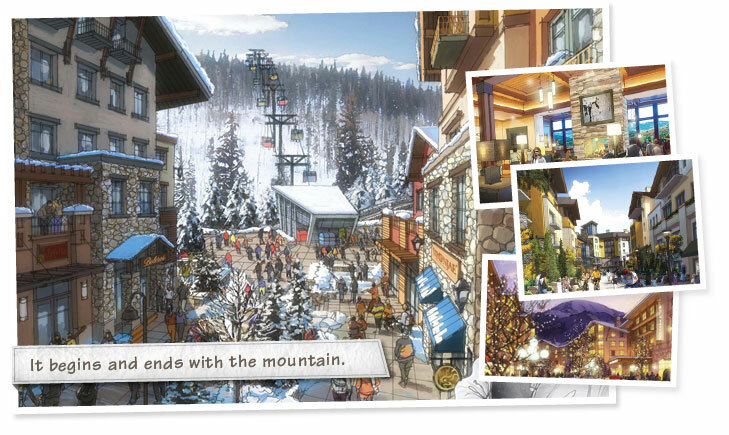 Join the season-long celebration of Vail mountain's 50th anniversary from November 2012 through August 2013! Guests and locals alike are invited to join a celebration of Vail's extensive history over the past 50 years. First Tracks with the US Ski Team November 15, 2012 For the third year join in a live celebration as the 2013 US Alpine Ski Team is named in Vail. Catch your favorite racers, including Olympic gold medalists Lindsey Vonn, Bode Miller, Julia Mansuso and Ted Ligety at the live event in Arrabelle Square in Lionshead. Begins at 5:00pm. Opening Day Celebration Gondola Dedication November 16, 2012 Vail is officially debuting its new state-of-the-art gondola on opening day of the 50th season. The Leitner-Poma of America gondola features 10-passenger cabins with heated, coushined seats, wifi and a 7.5-minute ride to the Mid-Vail. Begins at 8:30am. Vail Snow Daze December 10-16, 2012 This year's lineup is sure to excite and entertain all with headliners Wilco, The Shins, Michael Franti and Spearhead. Read more about Vail's 50th Anniversary Events Kick off Tomorrow! Looking for your own lost paradise? Look no further than 0804 Eagle Crest Road in Lake Creek Meadows in Edwards, Colorado located minutes from the world class ski resort of Vail, Colorado. Surrounded by aspens and panoramic views of Lake Creek Valley, this home offers more then what you are looking for in a second or permanent home. Priced at $1.6 million this home features the following: 2.5 acres of wooded land, 4 bedrooms, 4 baths, a separate 2 bedroom, 2 bathroom caretaker/guest home (currently rented out), an expansive deck, remodeled kitchen, million dollar mountain valley views, and loads of quiet privacy shared with you and the wildlife. As listing agent for 0804 Eagle Crest I invite you to take a look and see if you don't agree on where Lost Paradise can be found. My contact information is listed below for any real estate questions in the Vail Valley.